Secret documents published by British paper show the US Air Force nearly detonated a nuclear bomb over North Carolina. 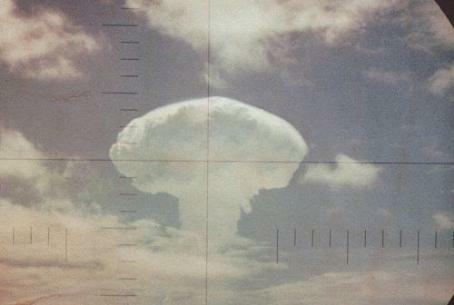 The United States Air Force nearly detonated a nuclear bomb over North Carolina in 1961, the Guardian has revealed. The bomb which nearly went off carried a payload of 4 megatons, making it 260 times more powerful than the bomb used in Hiroshima. The report is based on a previously classified report on the incident that was obtained by journalist Eric Schlosser under the Freedom of Information Act. The report, written by Parker F. Jones eight years after the incident, revealed that two Mark 39 hydrogen bombs were accidentally dropped over Goldsboro, North Carolina, when a B-52 bomber plane broke apart in midair. The fall set off mechanisms in one of the bomb that were designed for an attack scenario: the bomb’s parachute opened and its trigger mechanisms engaged. Three of the four safety mechanisms meant to prevent unintended detonation failed to operate. Disaster was averted thanks to the fourth mechanism. That mechanism could easily have shorted by an electric jolt, Jones found. Had the bomb gone off, “it would have been bad news – in spades,” he wrote. Not only would the initial blast have caused tremendous damage and loss of life, but lethal fallout could have affected major cities along the eastern seaboard, including New York City, Baltimore and Washington. “The MK 39 Mod 2 bomb did not possess adequate safety for the airborne alert role in the B-52,” he concluded. U.S. officials had previously argued that there was no possibility of the weapons accidentally detonating, thanks to their safety measures.